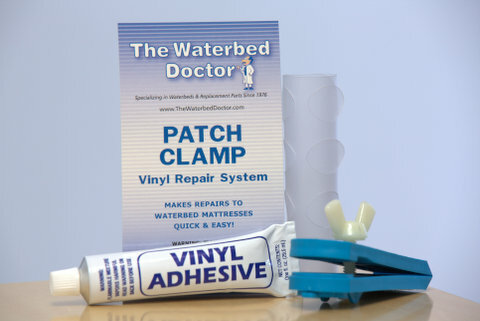 The Perfect Solution to Repair Leaks in Waterbed Mattresses. The Clamp Can Be Used to Repair Stubborn Seam Leaks. Includes a Tube of Vinyl Bonding Glue, Generous Amount of Vinyl Material with Pre-Cut Patch’s.